Does Daniel’s Vision Predict Assad’s Downfall? A Jewish text enigmatically describing the fall of the eastern tyrant Nero as presaging the rise of the Messiah may refer to Syrian leader Bashar al Assad, according to both Jewish and Arab sources. The Jewish text predicting the rise of an ‘Eastern Nero’ and his destruction is known as the Otzar Midrashim, which relates the story of a Talmudic sage who received an angelic message regarding the coming of the Messiah. The rule of the original Nero, who was an emperor of ancient Rome, is associated with tyranny, extravagance, cruelty and madness. Strangely enough, it was the Arabs who first identified Bashar al Assad with the Nero of the East. 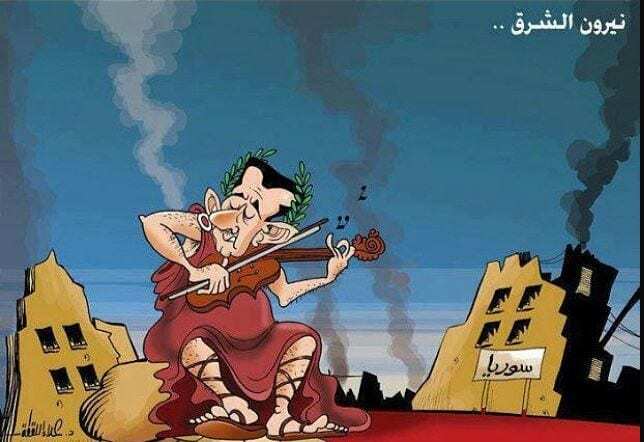 In a political cartoon widely circulated in the Arab world in 2012, Assad was portrayed as Nero fiddling while his country lay in ruins around him. Jewish observers quickly found another clue to the parallel. Soon after the cartoon came out, Rabbi Avraham Feldman of the Ohr Yerushalayim Yeshiva in Jerusalem noted that the gematria (Hebrew numerology) of niron mizrachi – “Nero of the East” – equals that of the name ‘Bashar Assad’. Assad, who inherited power from his father, has held onto his leadership through a brutal and bloody civil war which has claimed the lives of nearly 300,000 Syrians and forced millions more to flee, creating a worldwide refugee crisis. Media critics of his regime have been violently subdued and thousands of protesters killed outright by the military. Nonetheless, there are signs that the long-time enemy of Israel may, as the prophecy predicted, be falling. On Tuesday, a horrific chemical attack in Syria’s Idlib province killed over 70 people, including many children; world leaders jumped to condemn Assad’s regime, which both US and UN investigations have concluded is behind the massacre. Dov Bar Leib, an end-of-days blogger, is sure that this ancient source is may be referring specifically to Assad and his imminent downfall. Bar Leib explained that this unusual characteristic of Assad is also referred to in the Book of Daniel. Bar Leib believes this verse clearly refers to Syria and Assad, describing the Arab leader as a “mixture of modern iron and old-world clay”. “Syria is where the conflict between iron and clay is taking place,” he said. The parallels between Nero and Assad are striking. Assad’s extreme policies have led to the destruction of his country. Similarly, Nero was accused of setting the fire that destroyed most of Rome in 64 CE in order to make room for a new palace, which he began building as soon as the flames died down. Like Nero, Assad is accused of murdering his own subjects wholesale. And like Nero, Assad was an aristocrat born to the throne whose rule was plagued by civil unrest and rebellion. Though the reincarnation of historical figures is not discussed in modern politics, Bar Leib explained that the connection to historical figures is a necessary part of the tikkun olam (“fixing of the world”) that precedes the coming of the messiah. 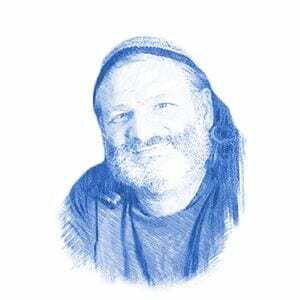 “In the End of Days, all of the great ancient leaders who harmed Israel will come back in order to be destroyed, thereby fixing what they did in their previous lifetimes,” said Bar Leib. For Assad, as an incarnation of Nero, his fall necessarily means Israel ascending. Rabbi Shlomo Yitzchaki, a medieval French rabbi known by the acronym ‘Rashi‘, explained in his biblical commentary that as one nation rises, the other must fall, bringing a further proof from Ezekiel. Syria, formerly a formidable existential threat to Israel backed by Russia, is now a shadow of its former might. As the Arab Nero, Assad’s impending downfall, achieved with little direct intervention by Israel, may indeed portend a prophetic era of Jerusalem rising.